As a mix of calming blue and fiery red, purple is known to represent royalty, power and extravagance. This color is also associated with wisdom, pride, magic and mystery. Even lighter shades of purple have their own meanings, such as lavender meaning soft and feminine along with romance and beauty. With any shade of purple, men, women and children can enjoy this fabulous color! Make your man feel like a king with purple-colored gifts or give your special lady luxurious lavender-colored presents. With our purple edition of our Color Chronicles series, you can give yourself or a loved one something royally purple! Whether for a fancy event or everyday occasions, our purple Color Chronicle chapter offers a wide variety of handmade items by indie sellers for any moment in life. 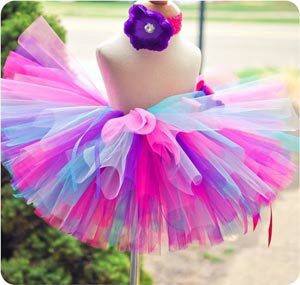 Give your little princess the tutu of her dreams with Trinity’s Tutus’ purple, pink and blue tutu! Made from various hues of pink, purple and blue tulle, this eye-catching tutu is known as The Darling Diva Tutu, perfect for your adorable little ladies. This tutu has been embellished with a ribbon bow and streamers to add more whimsical movement with this tutu. A matching flower headband is also included in this set. Sizes for this tutu include from 0 to 24 months. This tutu would make a wonderful costume for photo props, birthday parties and more and creates fabulous and vibrant memories for your little one. 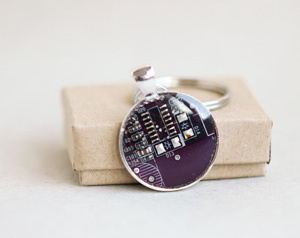 Nerdify your man’s keys with ReComputing’s purple circuit board key chain! Crafted with recycled, purple circuit board, this eco-friendly and geeky accessory is a fun way to jazz up keys, man purses and more. Set in resin, the purple circuit board is secured under this durable seal, and the resin gives it a glossy finish. No lady can go to a wedding without an elegant clutch! 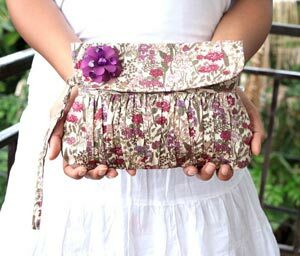 With Oyeta’s purple, flower-clad clutch, this girly yet sophisticated accessory is great to carry along to formal events, such as weddings. Created from cotton fabric that has been screenprinted professionally with flower designs in various hues of purple, this lovely clutch bag is embellished with a purple beaded flower for an added feminine touch. This clutch bag also has a strap to transform this hand clutch into a wristlet. A magnetic closure helps secure your belongings in this clutch. Om your way into Om Beautiful’s purple & red dyed yoga pants before your next yoga session! Formed from 90% cotton and 10% lycra knit blend, these yoga pants are stretchy, comfortable and light, which helps give you the flexibility you need for yoga. This two-toned pair of leggings is hand-dyed with vibrant red and deep purple colors. This pair of yoga pants is available in sizes S to XL. Get ready for your next costume party or masquerade event with Tom Banewell Designs’ purple leather half mask! This unique half mask is cut into intricately detailed, captivating designs that add a bit of elegance, mystery and beauty to your visage. With a steampunk-styled edge, this leather mask is a fun way to dress up your attire for any occasion! Add a bold accessory to your ordinary attire with Katia V’s large and chic purple Swarovski silver ring! Molded from sterling silver, this high quality ring displays a large, light purple Swarovski crystal element in the center. 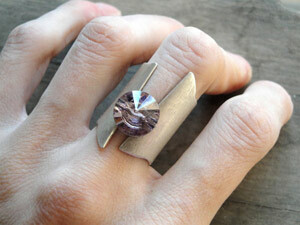 Designed with a gaping opening and uneven edges, this ring makes for a fascinating accessory piece. Enjoy the extravagant starry sky any time of the day with S.S.C. 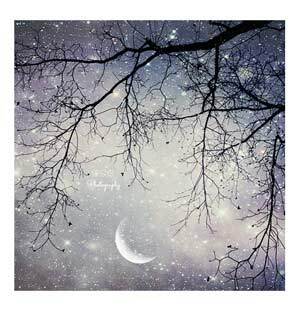 Photography’s purple night sky photograph! With haunting, dark bare tree branches and an illuminating, indigo purple night sky, this photograph presents two contrasting images that bring an overall stunning picture. This picture is available in sizes from 5×5 to 30×30, so you can have a small, framed photo on your desk or have a blown-up sized picture to hang over your fireplace. Printed on high quality paper with archival ink, you’re sure to receive a photo that’ll last for many years to come. On a sweets-free diet but want your cake too? 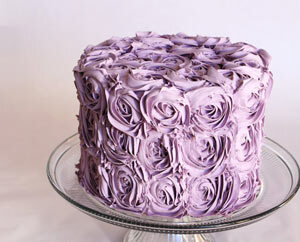 Then enjoy The Fake Cupcakery’s lavender-colored fake cake! Designed with rosetta patterns all over, this elegant, realistic cake makes a fun baby shower decoration or an amusing gag gift. Since this cake is made with lasting materials, you can whip out this cake and fool your friends with this fake cake! 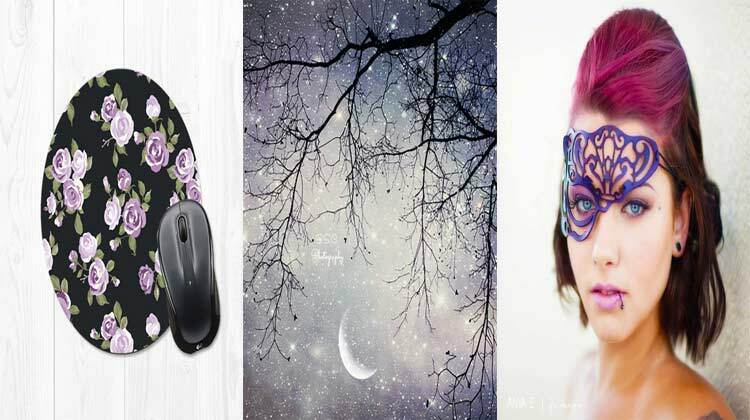 Give your computer mouse a new home with Field Trip’s floral pattern mousepad! 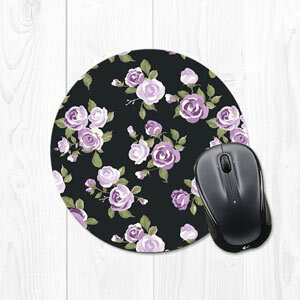 This mousepad features a black background that has been sprinkled with vivid roses in various purple shades. Made with a rubber, non-stick back and stain-resistant fabric, this sturdy, 8-inch mousepad will be a lovely companion for your mouse and computer! Find more purple floral items here in Field Trip’s shop. 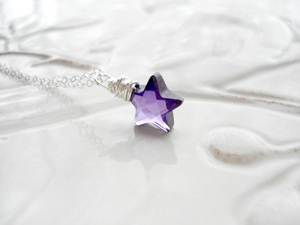 Add a dainty yet expressive adornment to your everyday outfits with Anechka’s Jewelry’s purple star necklace! With a glossy, wire-wrapped CZ star bead, this whimsical necklace is a great present for young and teen girls. Even though this adorable necklace features a quaint purple star, this star beholds the royal, bold color of purple, making this necklace extra luxurious even with its simple appearance. Feel the royal majesty of purple with these handcrafted products, and be sure to check out our other Color Chronicles of red, orange, yellow, green and blue! Our special edition Color Chronicles of white and black will be available soon, so stay tuned.